Mumbai Nashik Taxi Services - Service Provider of mumbai taxi rental, airport pickup service & airport drop off service in Mumbai, Maharashtra. Mumbai Nashik Taxi Offers Best deal for Mumbai airport pickup,pune airport dropoof,mumbai home pickup- dropoff mumai airport on just one call immediately. You are Book Online Chepest cab just on a call for Home pickup-mumbai airport dropoff in mumbai. We offer Best lowest cost, cheap, free, quick and convenient Mumbai Airport Dropoff-Home Pickup cabs Rather than any Public vehicles. There are many alternative options: Mumbai - Pune - Mumbai Trains, Pune- Bombay - Pune,Mumbai goa online taxi booking,mumbai lonavala online car booking,car rental services, online cab booking,cheapest taxi booking,Mumbai Radio Taxi, Pune Radio Taxi,Car rental, Taxi on CAll, Call A Taxi, rent A caB, rent a car, mumbai airport pickup,at low cost instantly. Mumbai Pune taxi eCabs has car rental deals for everyone. to Lonavala, Navi Mumbai, Thane city , and more, Pune Mumbai shared taxi, Rent a car in Pune. All cabs are Airconditioned and Backed by our supplier network. 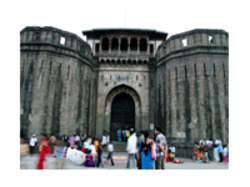 Mumbai Nashik Taxi Offers Best deal for Mumbai airport pickup- Hotel Transfer on just one call immediately. You are Book Online Chepest cab just on a call for mumbai airport pickup and hotel dropoof in mumbai. We offer Best lowest cost, cheap, free, quick and convenient Mumbai Airpory Picku-hotel transfer cabs Rather than any Public vehicles. There are many alternative options: Mumbai - Pune - Mumbai Trains, Pune- Bombay - Pune,Mumbai goa online taxi booking,mumbai lonavala online car booking,car rental services, online cab booking,cheapest taxi booking,Mumbai Radio Taxi, Pune Radio Taxi,Car rental, Taxi on CAll, Call A Taxi, rent A cab, rent a car, mumbai airport pickup,at low cost instantly. Mumbai Pune taxi Mumbai Nashik Taxi has car rental deals for everyone. Mumbai Nashik Taxi Corporation provides Sharing Transportation with the purpose of serving certain routes in Mumbai Nashik Taxi City on a fixed rate for each route without using the meter. Mumbai Nashik Taxi Sharing Taxi routes are carefully selected to support people with low income and are covering areas with frequent needs for quick transfer within same location, to ease the traffic situation in Mumbai Nashik Taxi city. Shirdi is a very popular destination for tourists throughout the year and hence to avoid disappointment last moment, people should book Taxi online well in advance.